There's a ton of stuff here, so let's just go over some of the highlights. 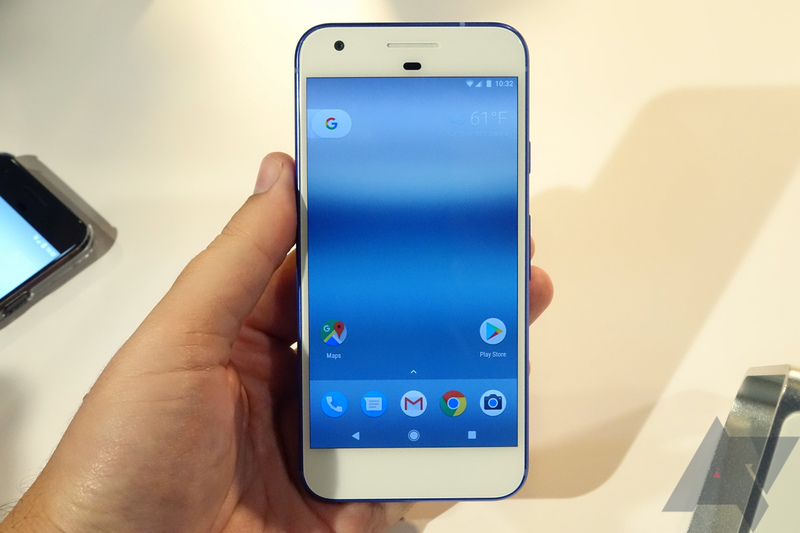 The Pixel Launcher, Google Assistant, unlimited original quality Google Photos backup, "EIS 2.0" (Google's alternative to OIS), solid navbar icons, new blue SystemUI theming, wallpaper picker, new setup look, and dynamic calendar date icon will remain exclusive to the Pixels. However, the Pixel Launcher issue can be dealt with by flashing a ZIP or installing an APK (which would then bring the wallpaper picker and dynamic calendar date icon), and the navbar buttons can be themed with software mods. Devices running 7.1 may include Night Light (a blue light filter), performance improvements to touch and display, fingerprint swipe down gesture, Daydream VR support, and a "manual storage manager." (The Nexus 5X and 6P will not have the fingerprint swipe down gesture, Night Light, or Daydream VR due to hardware constraints.) There are also several notable features that developers can implement, such as circular app icons, and the aforementioned fingerprint swipe gesture. If you have a current phone, don't get too excited by the inclusion of seamless A/B system updates; Google has repeatedly stated that this will not be available for existing devices. In summation, the Pixel line (again, we're not sure if this includes the Pixel C) will have a lot of exclusives, but some could trickle down to other devices via flashable ZIPs or Xposed modules. I'm personally just glad to see that the fingerprint swipe down gesture will come to other devices.